Buying Fiber Optic from Canada, Eh? Being a fiber optic technician you may have seen the many different upfit options that are available out there today. Work vans or trucks can be upfitted to your specifications or you can choose one of our expertly designed packages. These packages include lighting, insulation, a heater etc. and as a bonus, the products are made in North America. Now, how do you choose the best upfitter? There are many things to take into account when picking the best product, installer and a company team that will be there through the whole process. Buying from another country can leave you biting your nails hoping there will not be any unexpected events from when you place an order to when it arrives. Naturally, you are bound to have questions. Most out of country customers wonder if there will be extra charges at the border or how the exchange rate will affect your order. Q: Will there be extra charges? A: After we have quoted you, there will be no extra charges from Sterling. Your company will be billed for state and federal taxes through the filings of our customs broker with your tax I.D. Q: How does the exchange rate affect my order? A: It doesn’t. 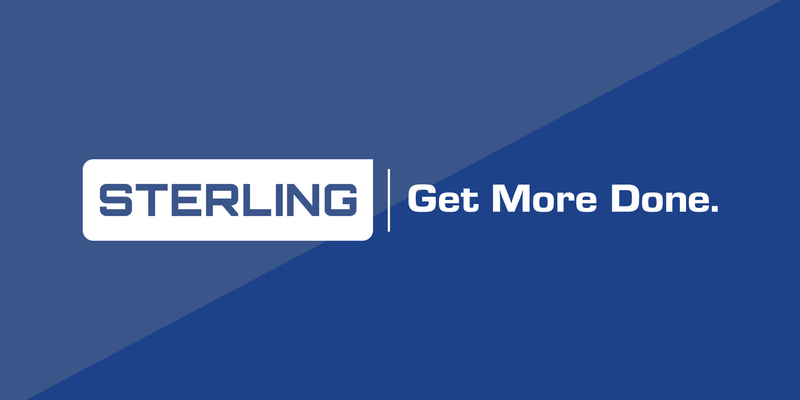 Sterling offers quotes in either CAD or USD depending on your preference. The product costs remain the same but it is important to note that if you are from the USA and receive a quote in CAD, your payment amount in USD will be less than the CAD quoted amount. For example, If you are quoted $100 CAD then you would pay roughly $75 USD based on the current rate. It’s exciting buying a new toy, even if it is for work. You probably can’t wait for your newly upfitted cap or van. We work hard to ensure you are updated on the status of you order as well as answer any questions you have along the way. You don’t have to take our word for it though, ask us for a list of references here. If you haven’t placed an order with us before then it’s important to share how simple we make the process for you. All you need to do is let us know what you want and where to send it, we will take care of the technical details and any obstacles you may face. Some supply only orders or products like the Fiber Optic Splicing Truck Caps are best when locally-installed for out-of-province purchases. The cap would be fully upfitted at our facility and then shipped to you. Once you receive the cap you would then be able to install the cap yourself with our detailed information sheet. This sounds tricky but it’s fairly simple if you follow our instructions. If you don’t have access to a forklift to install the cap or if self-install just isn’t for you, that’s okay. Most RV companies are capable and willing to do the install. At Sterling we strive to do what’s best for our customers and are constantly improving customer experience. We are confident that by choosing us, you will receive the best service available. Ready to get more done? Find your Fiber Optic Splicing Package here. Jamie MacDonald on Why do I need a Safety Partition? Jay on Why do I need a Safety Partition?